Today, the healthcare providers/ independent physicians adopting value-based care need to deal with potential regulatory hurdles, including those related to antitrust, corporate practice of medicine and fee-splitting laws, and tax issues. The increased focus on these issues negatively affects the efficiency of the medical practice, resulting in decreased revenue. 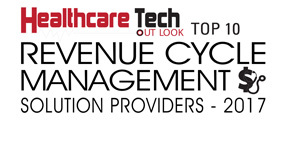 In such a situation, healthcare providers and revenue cycle managers stand in need of an efficient revenue cycle management (RCM) solution that not only generates higher revenue but also enhances the overall performance of medical practices by addressing compliance requirements. That’s precisely where TRIARQ Health comes into the picture. Having served in the healthcare industry for more than a decade, TRIARQ Health provides a set of quality-focused RCM services to practice managers, and independent physicians to improve the practice performance as well as increase the bottom-line profits. From Revenue Peer Group reports to working with existing medical technological software, TRIARQ Health transforms the conversation around the RCM services within the medical community by providing groundbreaking technologies, expertise, and infrastructures to thrive in the value-based healthcare economy. “When it comes to RCM, we do not think of it as just billing and collection process, but we think of it as a holistic approach from patient registration, through to processing the claims and enhancing practice performance,” begins Mike Sappington, Chairman Managing Partner of TRIARQ Health. Being a technology-centric company, TRIARQ Health provides a single, coordinated model that includes all the products and services that a practice needs to be successful. Further, TRIARQ Health offers a comprehensive healthcare partnership services—Q Pro and Q Complete services. Q Pro is a performance management service priced per user per month. With the help of effective practice tools, engagement services, and consultancy, Q Pro provides simplicity and reliability to practices and also enables physicians to effectively run independent medical practices. On the other end, Q Complete is a holistic technology and workflow management solution that fully integrates all components such as RCM, value-based insights and business intelligence consulting, which enable physicians to simplify daily operations as well as reduce the costs of running private medical practice. By utilizing TRIARQ Health’s Q Complete services, medical practice can improve their efficiency, reduce risks and enhance performance, while complying with regulatory requirements. Furthermore, TRIARQ Health leverages state-of-the-art Quality Payment Program (Merit-based Incentive Payment System) to overcome compliance issues and provide quality focused care to the patients. With the help of TRIARQ Health’s new payment processing system, medical offices can improve the way they collect patient payments at the time of service and post-adjudication. For instance, Gilcrease—an independent Medical Group, researched a number of practice management systems while making the transition to a new office to maximize the efficiency and effectiveness of their practice. They ultimately chose to partner with TRIARQ because of the dedicated, responsive customer service, and seamless integration between the EHR and billing software products. Through TRIARQ Pro, practices can not only manage the trivia of a workload in one complete system but also integrate EHR, billing, and other important practice management tools. It also lets practices tag team members share information, assign tasks, and make sure those tasks are being completed. With numerous such success stories, TRIARQ Health continues to grow. The firm is currently serving practices in thirty plus state across the country. TRIARQ Health looks forward to building a robust partnership with their clients to conduct patient-based financing for high deductible plans and surgeries.